PINOY LOTTO Result Today. MegaLotto 6/45 Lotto Result. View the latest of MegaLotto 6 45 Lotto Result winning combination for today, updated within moments of the draws taking place. It is the perfect place to discover whether you have become the jackpot winner and you can easily access the latest for all Philippine Lotto Results. DISCLAIMER:PCSO LOTTO DAILY RESULT/PROCASHBUILDER is not in any way connected with PCSO OR Philippine Charity Sweepstakes Office. Likewise the MegaLotto 6 45 Lotto Result found on this website are considered UNOFFICIAL and subject for validation. Therefore, Please check with the PCSO Official website www.pcso.gov.ph, PCSO branches and offices, lotto outlets, or via the lotto draw broadcasts every night at 9 pm aired over PTV 4 for the official announcement of results. You win the MegaLotto 6/45 Lotto Result jackpot if you match all six (6) numbers drawn in any order. You also win prizes by getting any 3,4, or 5 numbers of the winning 6-number combination, in any order. 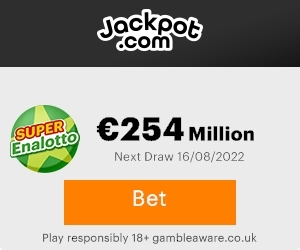 The MegaLotto 6/45 Lotto Result is a pari-mutuel game wherein the prize pool is divided equally among the winners if there are more than one jackpot prize winner. In the event that there is no winner for the jackpot, said jackpot prize shall be added to the computation of jackpot prize of the next scheduled draw. Here’s the MegaLotto 6 45 Lotto Result winning combination for today! Prizes amounting to Php5,000.00 and below can be claimed at any authorized Lotto outlet or at the PCSO Branch Offices in your area. Prizes worth more than Php5,000.00 to Php20,000.00 can be claimed at any of the PCSO Branch Offices or at the PCSO Head Office, 605 Conservatory Bldg., Shaw Blvd. Corner Princeton St., Mandaluyong City. Jackpot prize should be validated and claimed at the PCSO Head Office, 605 Conservatory Bldg., Shaw Blvd. Corner Princeton St., Mandaluyong City.